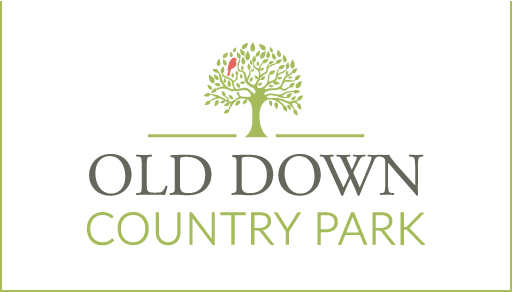 Old Down Country Park is an award-winning attraction set in breath-taking countryside. 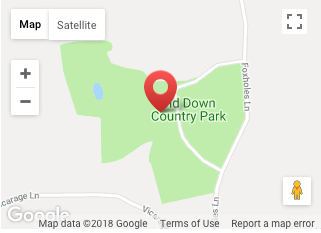 You and the family can enjoy 66 acres of open space, gardens, woodlands and spend hours of fun in our play areas with jumping pillow, an adventure playground, trampolines. Come and meet our farm animals which you can stroke, cuddle and handle. There is also a Yurt to hire for birthday parties and family gatherings with a log burner. The rustic Barn Café caters for all the family and is open daily from 10am – 3pm offering hearty cooked breakfasts, delicious lunches and a range of hot and cold snacks, homemade cake and great coffee served in the beautiful converted stables and warmed by a log fire. Our Estate Farm Shop stocks a range of Estate-grown and locally-sourced produce and gifts. You will also find a selection homemade treats including jam, chutneys and bread baked in our Kitchens. Get up close to some of our animals, including micro pigs, guinea pigs, rabbits, piglets and ducklings! Read more. Equipped with jumping pillow, zip wire and more. Read more. We have a huge range of animals we’d love for you all to meet! Read more. Take a step inside the Victorian walled garden and see the endless reams of gorgeous flowers, fruits and vegetables which are used in our café and farm shop. Read more. Beautiful landscaped gardens, age old woodland, wild flower meadows and sit with a picnic from our Kitchens and enjoy views of the River Severn and Wales. Read more. When our yurt or play bus isn’t in use for children’s parties it will be full of craft and fun activities. Read more. Welcome to old down's very own cuddly corner! Get up close to some of our animals, including pigs, guinea pigs, rabbits, piglets and ducklings! Please only touch the animals when an Old Down Ranger is around to help. Don't miss our baby farmyard cuddles! Our Animal Rangers are in pets corner every Wednesday, Saturday and Sunday from 11am to 3pm. They know a great deal about animals so if you have any questions, then they're the ones to ask! Our Animal Rangers will also be feeding the animals and walking them around the park on a daily basis so keep an eye out for them and he will be happy to allow you to assist him. Please note these times are subject to change, please check the board in the shop or ask a member of staff in the shop or cafe for details. Get up and personal with your favourite fluffy pets! Simply roll up and ask one of our keepers to meet your furry friends! Let the kids run wild on the adventure play field! A huge adventure play ground equipped with monkey bars, slides, swings, climbing equipment, cargo nets, play houses, a zip wire and our famous giant, JUMPING PILLOW! We have a huge range of animals we'd love for you all to meet! Including miniature donkeys, regular donkeys, pygmy goats, alpacas, Llamas, Shetland ponies, pigs, chickens, turkeys and much more! They are all very friendly and will be more than happy for you to give them a tickle, please do not feed our animals anything other than food purchasable in the farm shop as they will get very bad bellies! If you can remember all of the animal’s names they will come and see you when you call! See the endless reams of gorgeous flowers, fruits and vegetables which are used in our café and farm shop. Packed with Little Tykes cars, small slides and see-saws. Relax on the lawn in one of our deck chairs whilst watching the little ones play in the sand pit or let them burn some energy jumping on our bouncy castle and trampolines. You might even spot Kevin - who's Kevin? Kevin is our free range peacock, you might be lucky enough to spot him as you wander round the park. Can’t find him, well peacocks have the most distinctive call and if you shout him then, we’re sure he’ll come running PEAO PEAO! Come see our old woodland and wild flower meadows or sit with a picnic from our Kitchen Garden cafe and overlook the panoramic views of the River Severn and Wales. On your way around the trail walk, why not take a tour through the woods, kicking through the colourful autumn leaves, with your checklist of what's what, which can be found in our farm shop. If you get a bit worn out chasing the children around the adventure playing field then head on up to our Shepherds Hut. You will find soft play and craft in our Yurt so pop in and have some fun. Our fun bus is mainly used for an indoor picnic area but we often fill with lots of fun activities. Enquire to book our Yurt or Fun Bus for your children's birthdays parties.